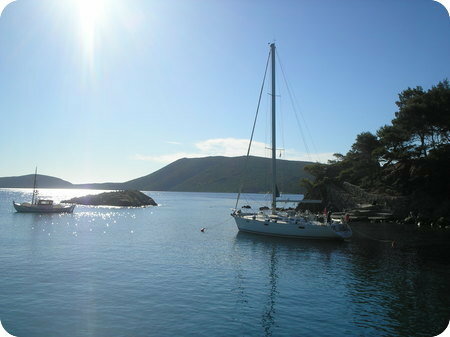 Sailing in the Northern Sporades! 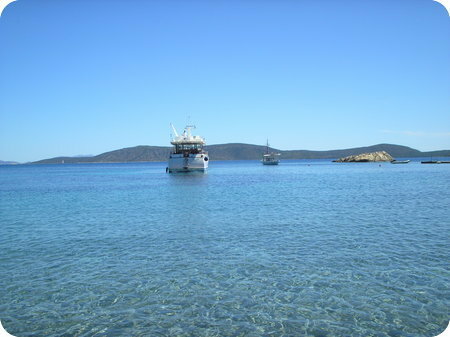 In the middle of the Northern Sporades, we discovered the 2 islands: Alonissos and Peristera. 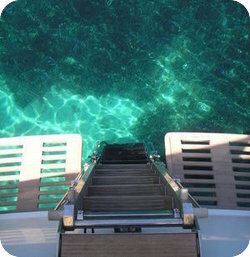 Now, from here and upwards, you're cruising in the National Marine Park of the Northern Sporades. There are some restrictions, but the overall aim of the park is to protect the local fauna and flora. 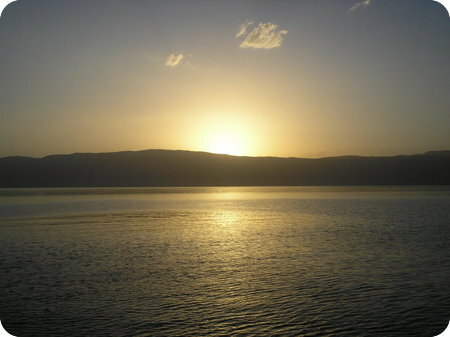 Due to the northerly winds, we mainly cruised the southern side of Alonnisos. As with the other islands, these ones are also very mountaineos. While we were approaching the island from the south, we could see the old town of Alonissos on top of the hill. Instead, we moved more north and we found this tiny town with the name of Steni Vala. A few sailing yachts were anchored stern-to to the dock, but for our boat it seemed better to anchor off in the little bay just south of it, Aghios Petros. There we tied the boat with a long stern line to a massive rock on the beach. We pulled the chain tied on the windlass and...voila! The water is as clear as bottled water and the view is very pretty. 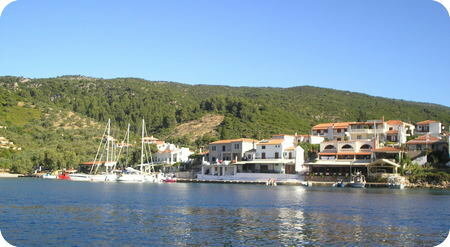 We decided to lower the dinghy and had a great Greek evening meal in Steni Vala, just around the corner. 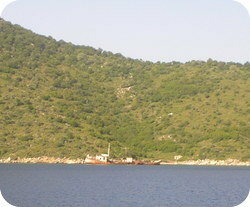 We anchored just south of Peristera town. It's a pretty quiet island, but... the sunset from this position was excellent!